Keynote at HCI2016, Bournemouth, UK, 13 July 2016. 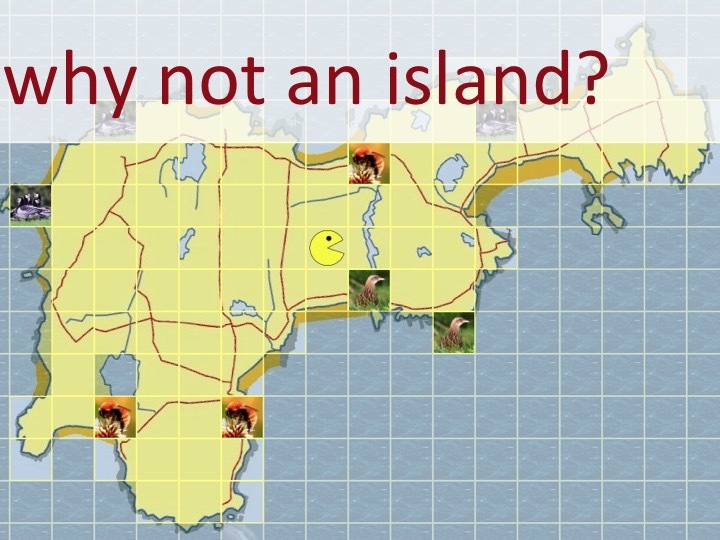 Traditional information systems design often focuses on centralisation, privileging global consistency over local knowledge; the golden copy is at the centre, data at the leaves are views of this. 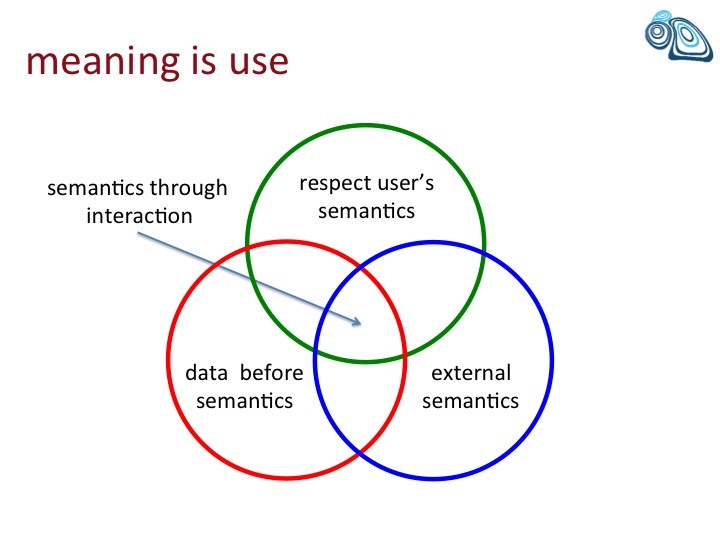 However, there have always been good interaction design reasons to counter this centralising tendency. 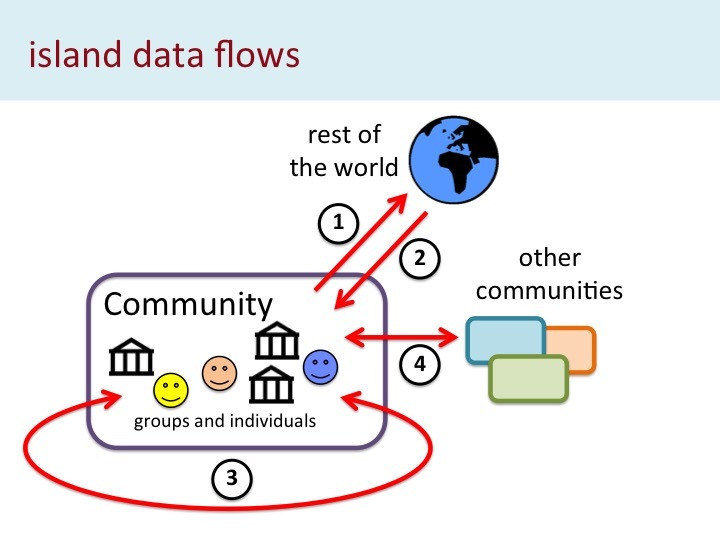 In every organization there are numerous spreadsheets from contact lists, to alternative accounts and exam marks, creating parallel information systems, While seen by central IT as undermining integrity, it is often precisely these apparently subversive parallel systems that get the job done. 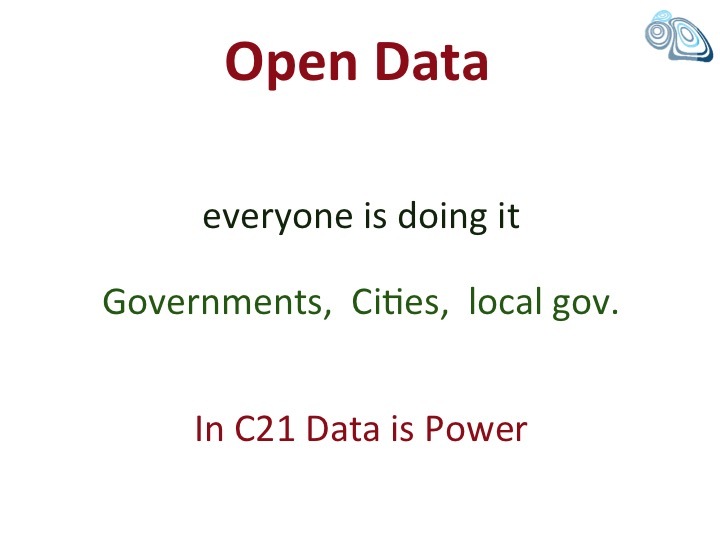 If anything the web and the cloud intensify the pressure towards the centre offering access anywhere and network benefits so long as all data is managed and stored globally. The benefits of this are manifest, from finding long lost family on Facebook to Google maps on every 'how to find us' web page. But these benefits come with a cost: hyper-targeted adverts and the demise of the handcrafted locally produced map. 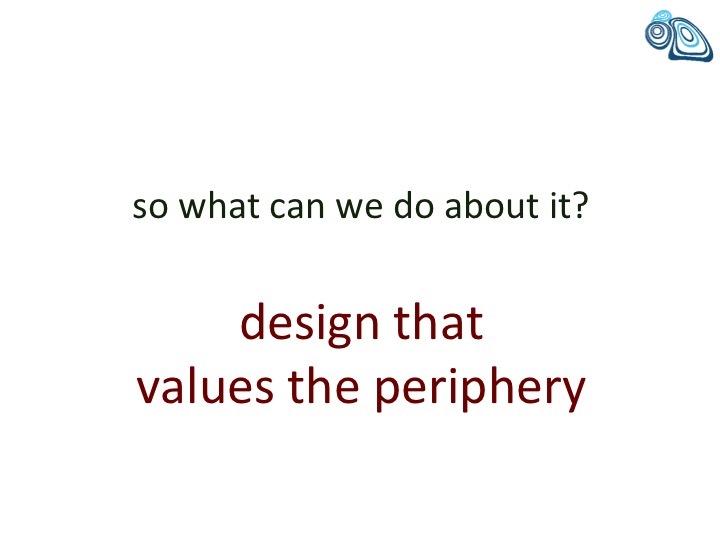 Our challenge as designers is to leverage the power of the large to bring benefits to the small, privileging the information stored at the edges as primary, rather than central repositories. I will discuss ways this might be achieved. 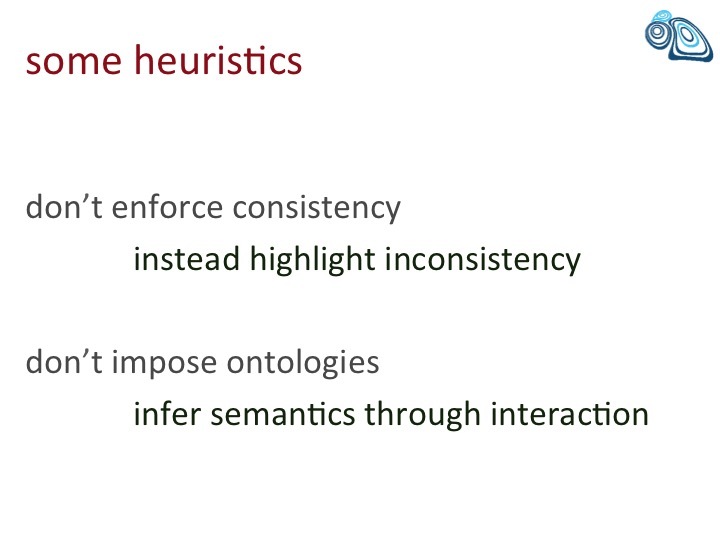 In traditional information systems, we can focus on highlighting inconsistency rather then enforcing consistency as a way of allowing distributed organisational knowledge to thrive. 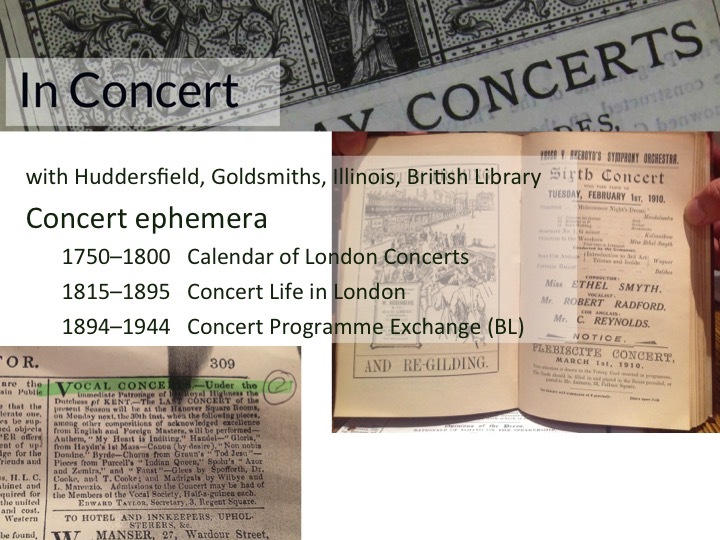 In work on digital archives for musicologists, we see that authority is a central academic value and so central data is a view or cache of the original data not an ingest to replace it. 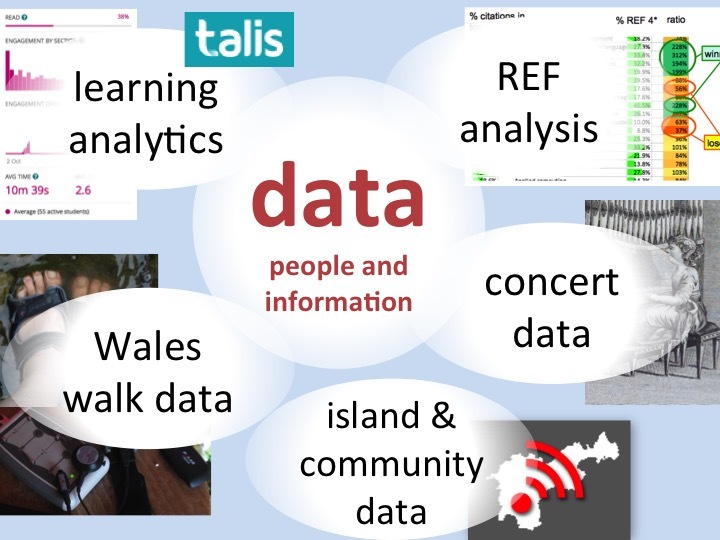 On the Isle of Tiree, and in general looking at open data for small islands and communities, we see how local maps and locally produced data can be a source of empowerment. 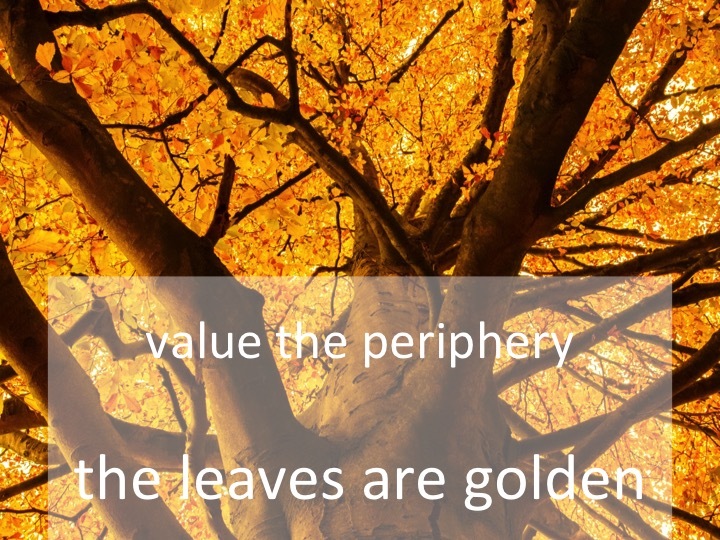 When we value individual and community knowledge and autonomy, the leaves are golden. 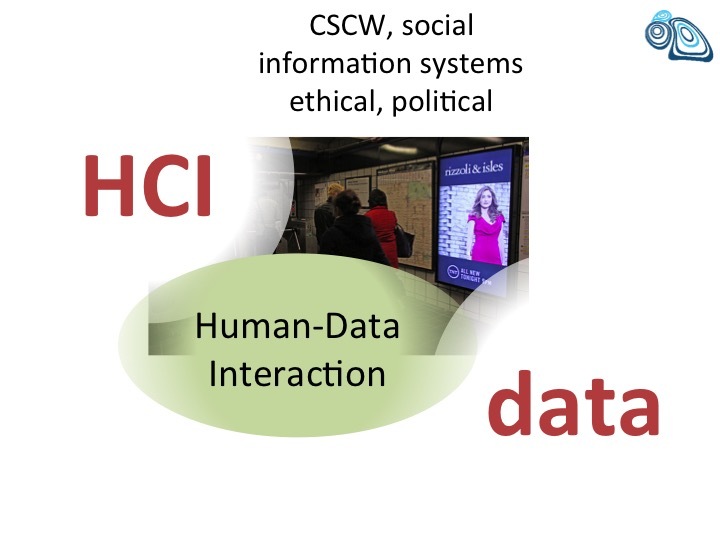 Keywords: human-data interaction, community, open data, empowerment, design. 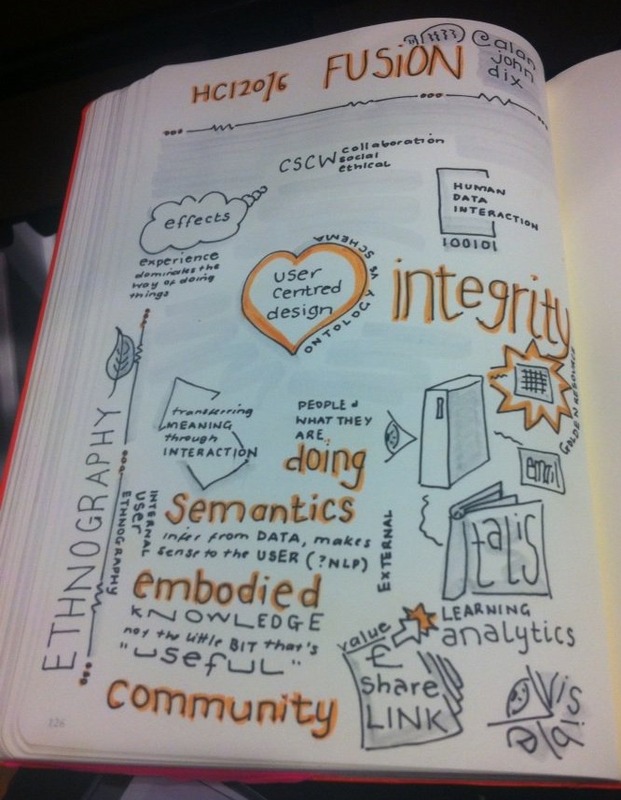 During the talk Elaine Brown of Anglia Ruskin University, made lovely sketch notes. During the talk I mentioned the way UK's problematic electronic patient record project had taken a traditional centralised development style. After the talk Inês Rodolfo of Universidade Nova de Lisboa told me about the Portuguese Electronic Health Records, which has taken a far more decentralised approach. 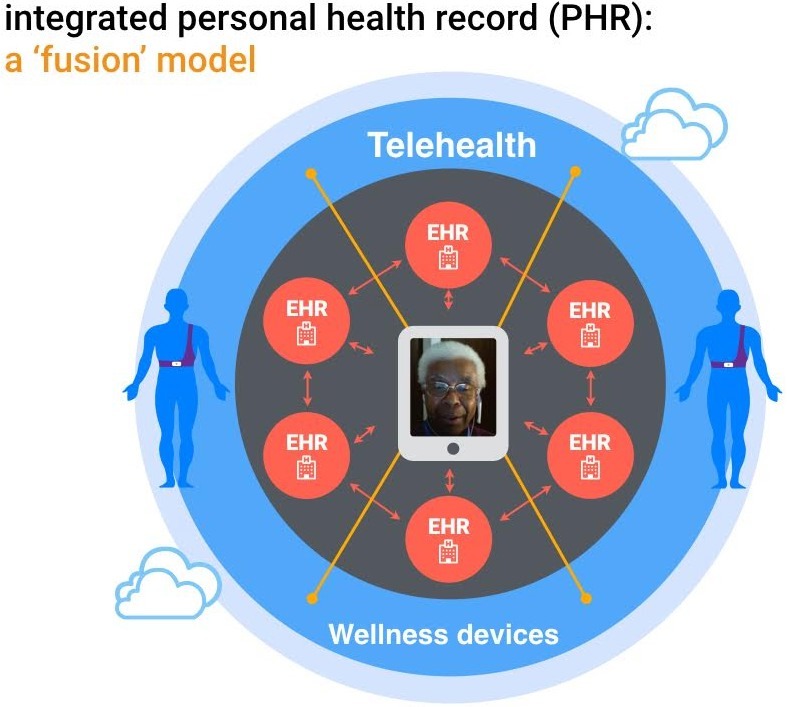 She is part of a project to create an "Integrated Personal Health Record" (iPHR), which really puts the patient and their own data at the heart. 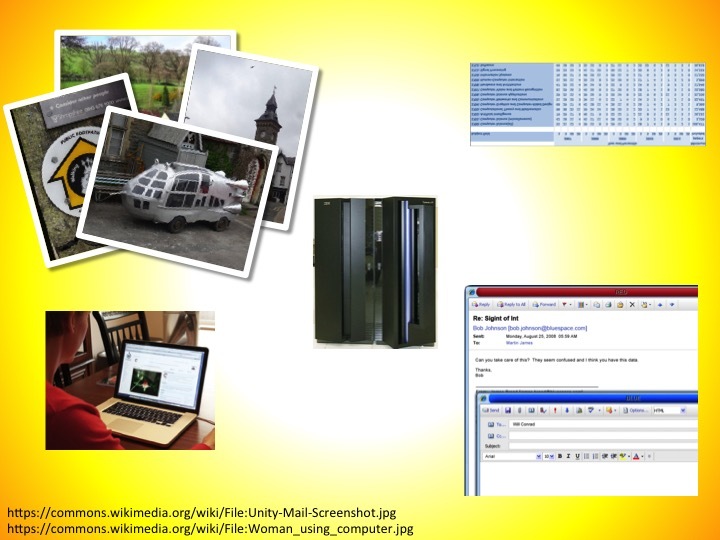 She presented a paper "Perspectives on User Experience for a Nation-wide senior Telehealth Program" at the conference. A. Dix. (2016). The Leaves are Golden - putting the periphery at the centre of information design. 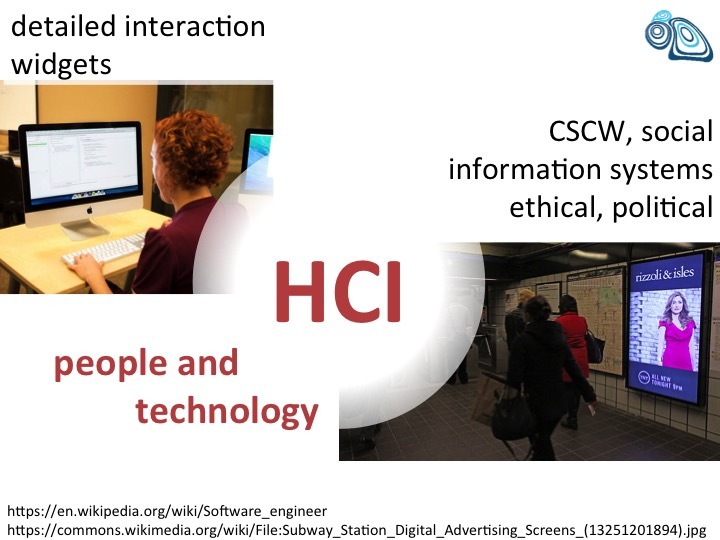 Keynote at HCI2016, July 2016, Bournemouth, UK.